Imagine a vast repository of digital materials that includes an unlimited supply of instructional videos, interactive multimedia exercises, links to Web sites, reading exercises, recorded interviews with experts, interactive graphs, charts, diagrams, photographs and maps—and nearly any other form of digital instruction— all organized according to academic standards, instructional objectives, and specific topics addressed. Teachers could log in to the repository via the Internet, type a simple search string and instantly access hundreds of pertinent instructional sequences that they could use to enhance their teaching practices in both the classroom and in the virtual learning environment. This vision has been the driving force behind a form of instructional technology called learning objects (LOs), and it is becoming an increasingly relevant topic within the field of instructional technology today. Publishing Standard: A commonly accepted set of specifications that developers can use to guide their efforts when they create media. Commonly used interchangeably with the term content model . Metadata Referencing Scheme: A shared, syntactical approach to the use of metadata that programmers can use to ensure that learning objects are retrievable and interoperable. Situated Instructional Design: Brent Wilson’s theory for instructional design that posits that implementation and design are ultimately inseparable. 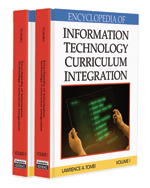 Curriculum Director: In the collaborative model for distance education, the curriculum director is the person who is responsible for analyzing classroom instruction, searching through a repository to collect learning objects that address the same topics, and then delivering those learning object to end users in a learning management system. The Shareable Content Object Reference Model (SCORM): A set of guidelines that The Learning Technology Standards Committee of the IEEE began their efforts to come up with one set of metadata guidelines that can be used to systematically categorize digital content. Currently, this effort is being refined by the U.S. Department of Defense’s Advanced Distributed Learning Division (ADL). Metadata: The standardized information that is used to describe learning objects. Typically metadata comes in the form of completed form fields that describe the formative characteristics of a learning object. Collaborative Model For Distance Education: The term used to describe the process formative and iterative of using native resources to guide the translation of classroom instruction into learning object based instruction so it can be delivered online. Learning Object: Any digital resource that can be reused to support learning. Content Model: A commonly accepted set of specifications that developers can use to guide their efforts when they create media. Commonly used interchangeably with the term publishing standard . Rapid Prototyping: The process of quickly analyzing instructional needs in a learning environment and selecting relevant instructional materials that meet those needs. Pragmatic Paradigm: An instructional design approach that emphasizes environmental factors like adoption and use in the test when evaluating the validity and efficacy of learning materials. Learning Object Based Instruction (LOBI): The process of utilizing assembled learning objects to teach in a learning environment. LOBI is a form of facilitated instruction, or performance support, as opposed to direct instruction and/or lecture based models for presenting information to learners.